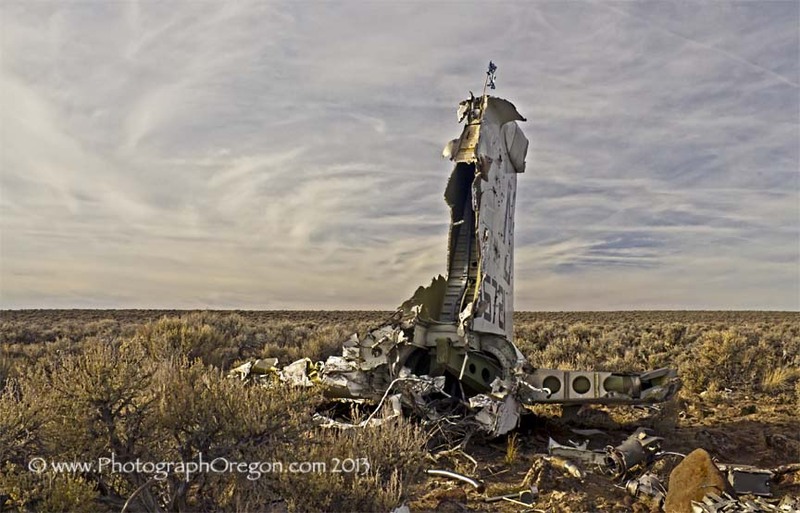 All around the state are Oregon airplane wrecks. I’d heard whispers of several plane wrecks in Oregon, a B-24 in the Steens mountains, a downed P-38 Lightning outside of Christmas Valley that went down in a gunnery target practice in 1945 and an A-6 Intruder that went down in 1973. Since then I've heard of others and I've been closing in on them one by one. 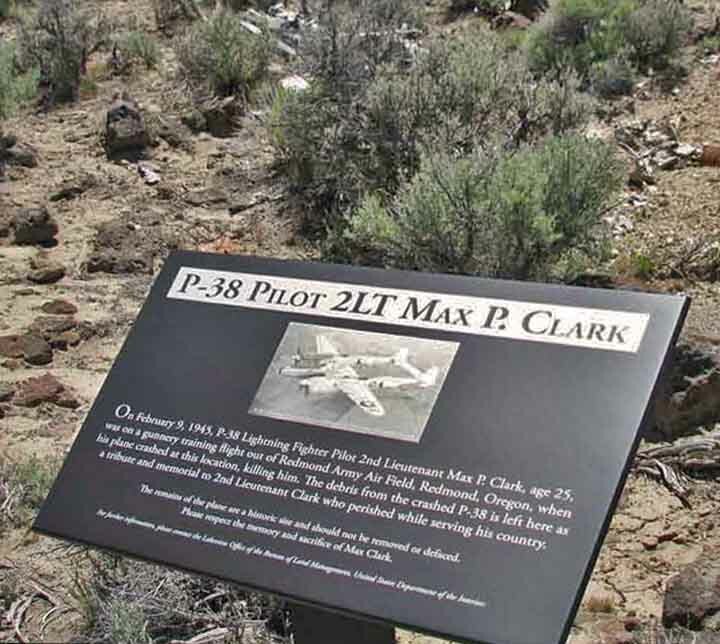 Alone on the desert rim 26 miles outside of Christmas Valley there are two Oregon airplane wrecks, A P-38 Lighting and an A-6 Intruder. The wind blows and the skin of the tail section lightly slaps the frame as the tattered remains of an American flag flutters. It is silent sacred ground. 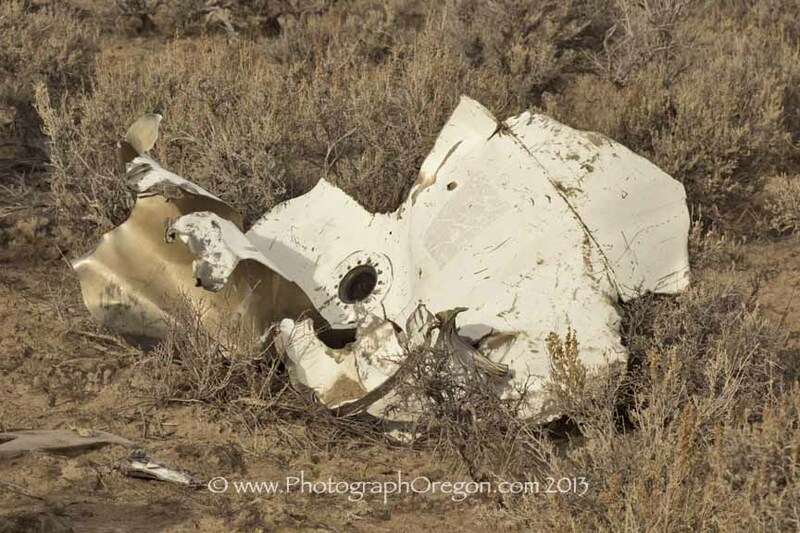 Now, about those Oregon airplane wrecks in Christmas Valley. 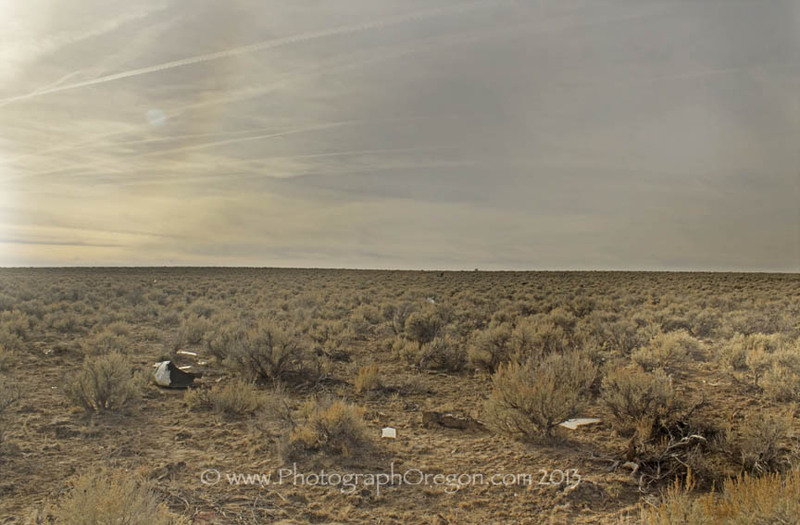 These are two fairly well known Oregon airplane wreck sites, just hard to get to. 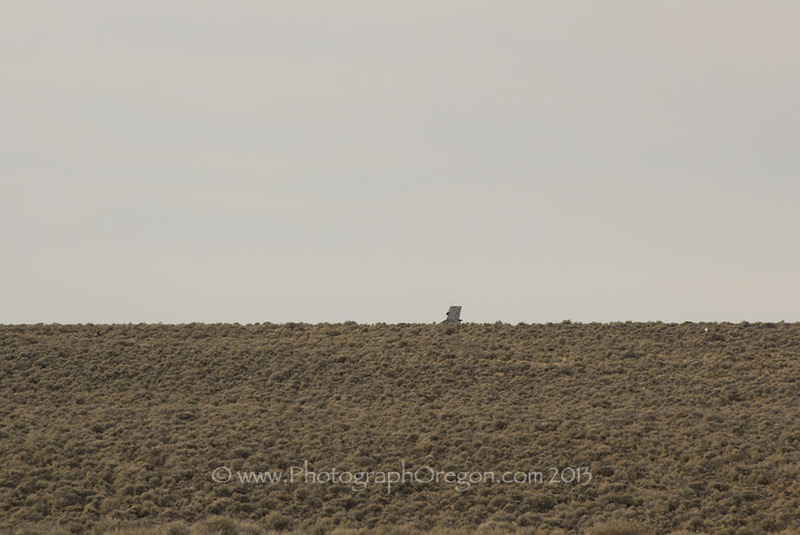 As many of you know, I've made several attempts to these Oregon airplane wrecks in Christmas Valley, which with several maps from the BLM and their blessing, you would think it would be fairly easy right? No! There are many, MANY misleading roads out there. The first trip out with my husband, Dad and Mom ended in some tire changing and an impromptu photo shoot of the sunset at Fort Rock when we ran out of spare tires and couldn't risk the stranding. The second trip to the Oregon airplane wrecks was an all day affair with my sister in her new Jeep. We had a ball and it was an awesome bonding trip driving all over the desert down all the wrong roads. It did turn out in the end that at one point, had I walked another 100 feet out, I would have likely seen the tails section sticking up on the rim. Alas, I did not and we once again went home empty handed. So that became the birthday plan. We headed off bright and early. Considering the last time when we drove around all day to no avail, we decided to stop at the gas station in Christmas Valley and top off. We talked to Sandy about our quest. She said she knew about the planes and had directions somewhere but she didn't know where. 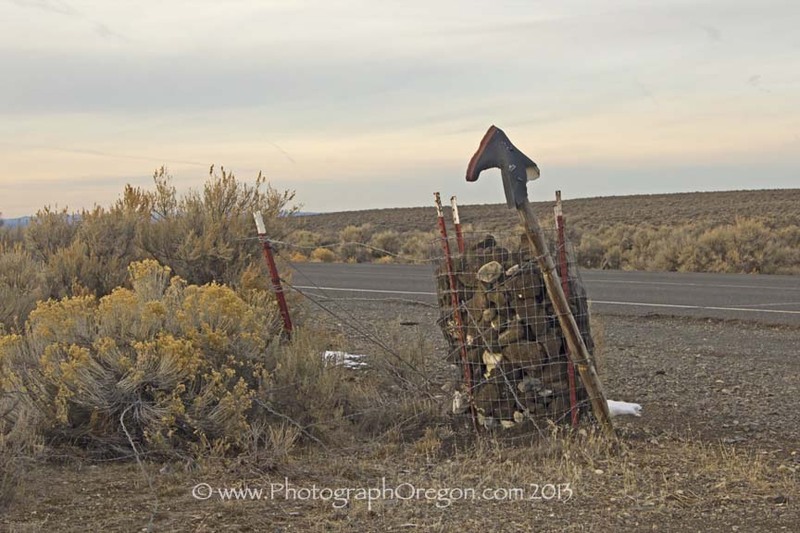 They involved something about turning at the rubber boot on the fencepost, going around the horse trough, over the self flattening cattle guard and then turning again at another trough. Then she said or maybe the trough came first and then the boot. Who knows. We decided that might be to vaugue and we would stick with what we had. We were armed with maps and GPS and coordinates that were in some old military format that we learned was unhelpful and that info in the back of our heads from Sandy. Driving down the highway when low and behold.....we flew by THIS and slammed on the brakes. It turned out that all her directions were much better than the BLM maps and we pretty much drove right to it. 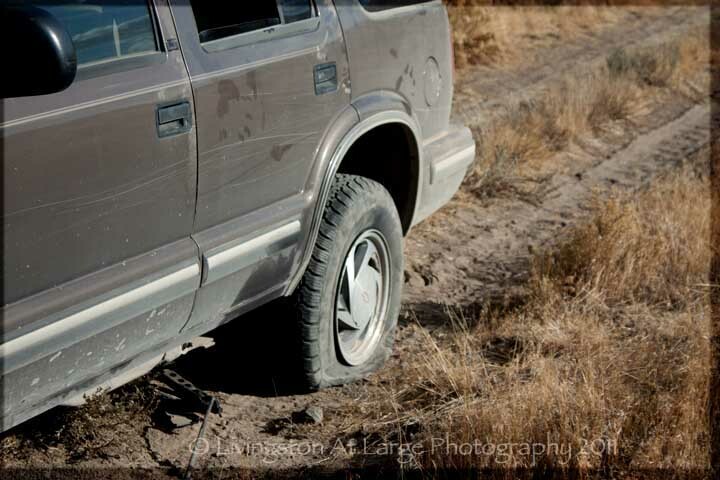 Once you park where the road ends at the bottom of a hill that you know you are in no way going to take your vehicle up, you have to trek up the hefty, rocky hill and then you just follow the remnants of the road until you start seeing white airplane parts scattered around. By then you will see the tail section of the A-6 sticking up out on the horizon. It's at least a mile in. There is a silent erie feel out here. The lighting was strange and the clouds were interesting. Way out there just to the right of center you can see the tiny bump on the horizon that is the tail section. That's how long the debris field is. (and yes, that's a sun doggie). The first plan, a P-38 Lightning, flown by 2nd Lt. Max P. Clark, went down during a gunnery training flight on February 9, 1945. His whole squadron witnessed it. I have the crash report with the sad comments by the commander. I have also had an email from his cousin who will be happy now to get the info. The plane was loaded with ammo and blew up on impact. Consequently this is a smaller debris field. Also being much older. It has been heavily scavenged. Since my mother’s father designed the P-38 and my father’s father flew them in WWII, I’m particularly interested in them. 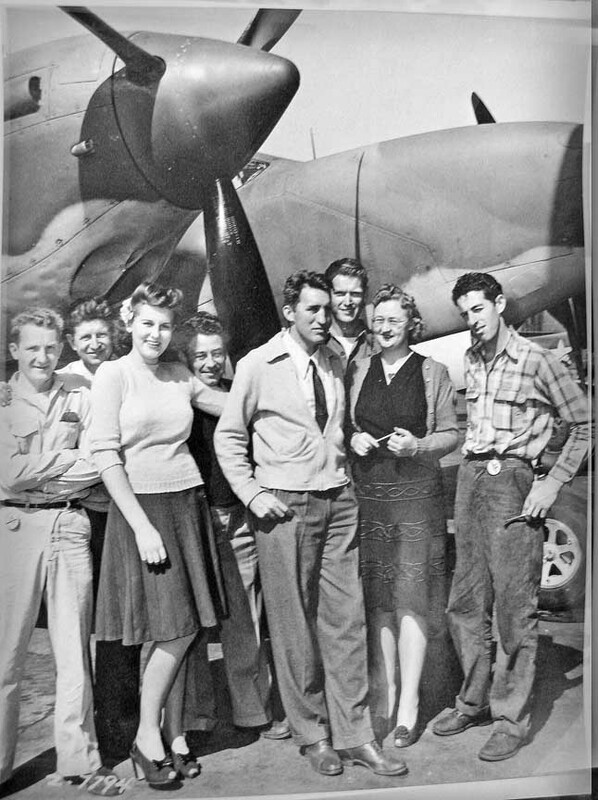 Being able to photograph one sitting in the desert, well, that is a dream come true…..
Grandpa (William M. ("Red") Waite, is the guy on the left with his arms folded. I've lost both grandpas in the last five years so I was wearing my grandpa's hat and my other grandpa's dog tags bringing them along. The second plane wreck in that area is the A-6 Intruder who's wreckage is scattered across a good solid ¾ mile debris field. The A-6 went down on September 19, 1973 in the middle of the night after leaving Whidbey NAS, Washington. There were no witnesses so no one really knows what happened. From the crash report it seems that there was that big fat ridge that popped up out on the desert and no change in the angle of the wing flaps to accommodate for that. Two men, Lt. Allen G. Koehler and Lt. Commander Philip D. duHamel lost their lives. 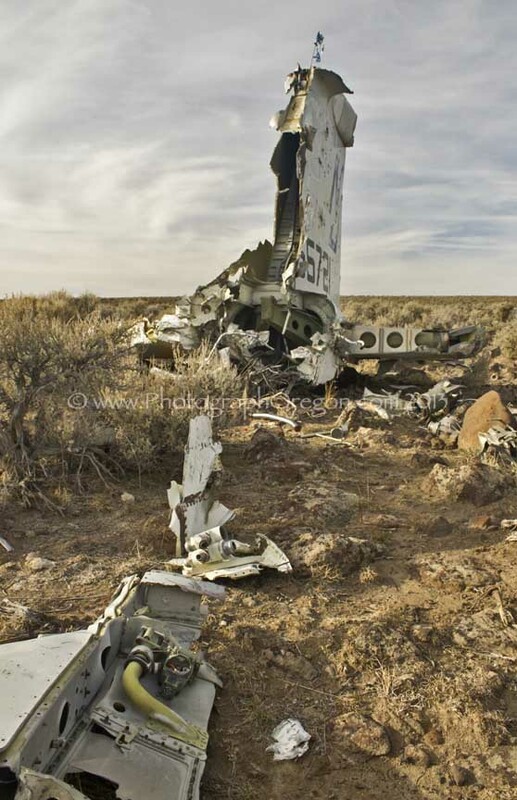 I worked the PSA air crash site in 1978 in San Diego and I know how much stuff a plane can spew but I was still amazed after 40 years how much is just all over the desert there. This is an interesting adventure. Should you decide to go please contact me and I will give you good directions. 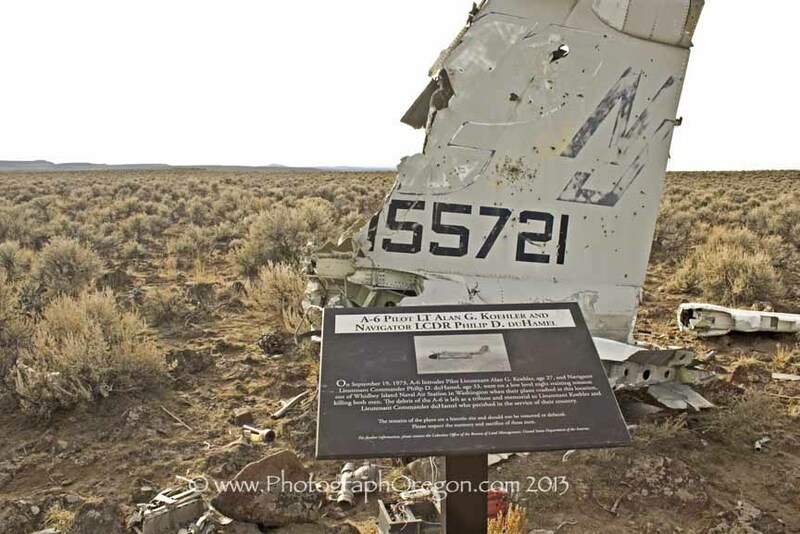 Please remember these Oregon airplane wrecks are federally protected sites. As tempting as it might be, please leave all the little gears and gadgets in place. Take nothing but pictures. Leave a blessing. I had heard a few times about the Oregon airplane wreck of a Flying Fortress on Cape Lookout and when I went after it I will say, this was the most difficult of the wrecks to find. The Christmas Valley wrecks, once located, were obvious. What's left of this plane is hidden under brambles and such up the side of an extremely overgrown and muddy hillside. Read more about the Cape Lookout B-17 wreck. 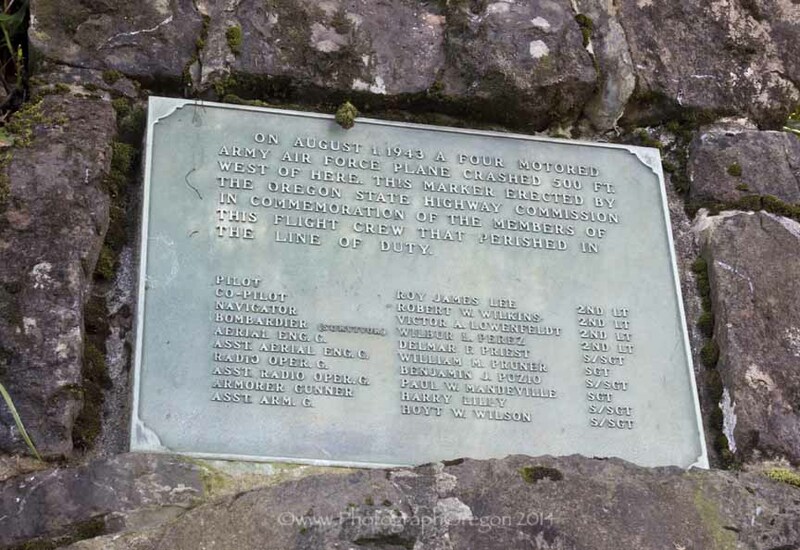 I got a chance to go after the B-24 this last fall and found out after 4x4 crawling up most of the way to the site that about 6 months previous (2013) the government had come in and removed the wreck AND the memorial that the families had installed. (That, was a hot topic.) but I have also heard recently that this may not be true. I've since gotten more information from someone who read this page. "The B24 site on Pueblo Mtn. is definitely still there. (as of 2015) Plaque and parts on two motors only. Easy to drive to if you know the way. 4x4 required for the last climb." It is located in an area called Propeller Meadows. There is an OPB episode on it.